West Virginia native and WVU law student Brian Gardner defines himself as a biracial, LGBT religious minority. He’s also a rural expat from a hometown so small, Antioch, West Virginia, that the U.S. Census Bureau does not keep data on it. Gardner left home to become what many in rural communities now view as an adversary: a progressive joining protests against President Trump’s immigration ban in the cultural bubble of a college town. 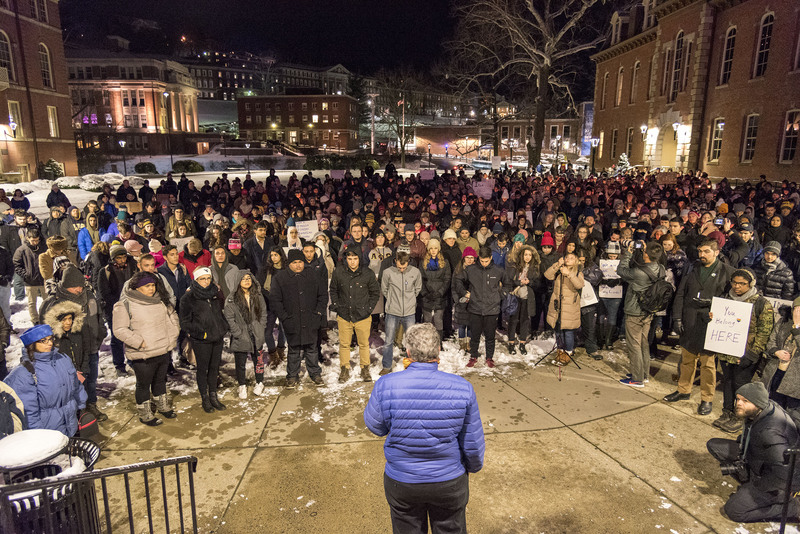 On Monday night, Gardner joined hundreds of community members at West Virginia University – of various colors, religions, beliefs, genders and ethnicities – to support the international community in the wake of President Trump’s immigration ban. Armed with signs and candles, protesters pushed a message of peace, unity and resistance to the president’s executive order (The Chronicle of Higher Education captured WVU’s reaction to Trump’s travel ban.). Like most college towns, Morgantown is contained in a bubble of relative resilience that contrasts with other areas in a region pounded by economic distress. The disparity between this college town in West Virginia and residents in the Appalachian coalfields also highlight a growing divide that surfaced throughout the 2016 presidential election between those with and without a college education. The New York Times branded education as the defining electoral split replacing the culture wars. The divide between college bubbles within rural states is not just limited to Appalachia. Trump supporters across America, including rural Minnesota, say they’re just fine with the immigration ban. For some small town folks like Gardner, however, going to college can be a cultural wake-up call. In recent years, American colleges have seen an influx of international students like never before, and this exposure may be why college students are more likely to empathize with immigrants and refugees. And then he came to WVU, where he was randomly paired up with a Libyan roommate. Libya is one of the seven countries, along with Iran, Iraq, Somalia, Sudan, Syria and Yemen, named in the travel ban. At WVU, it could directly affect 127 students. The campus has 69 students from Iran, 27 from Libya, 13 from Iraq, 13 from Syria, four from Yemen and one from Sudan. Although Gardner is a West Virginia native and not from any of those seven countries, he can’t help but wonder if he’s “next.” That is, next to face potential discrimination as a result of Trump administration policies. At Monday’s rally, Gardner, donning a coonskin cap, shared his story with the audience and joked that the roommate did not turn out to be a terrorist and kill him. Gardner believes it should be in the nature of West Virginians and Appalachians to lend a hand to the downtrodden, particularly if they’re one of their own. When one of Maureen Abell’s undocumented clients was arrested on felony hit-and-run charges in Mecklenburg County in 2017, she told him to not to post bail. Paying that fee would almost guarantee that he ended up in U.S. Immigration and Customs Enforcement’s custody, she said. “He sat in county jail for three months and then he got acquitted,” said Abell, who acts as an attorney with Charlotte Center for Legal Advocacy’s Immigrant Justice Program in North Carolina. The program primarily serves those living in Mecklenburg County. Abell said that client is one of many who have been unfairly detained by ICE since President Donald Trump took office in 2017. In the past, Abell said, a client who was applying for a green card would not need to have an active visa in order to avoid arrest and detention. Now, ICE agents are more aggressive, often waiting to pick up immigrants after they leave court, regardless of whether they were convicted of any criminal charges or not. The fear can be especially palpable for victims of domestic violence, whose abusers might use the threat of deportation to hold sway over their victims. 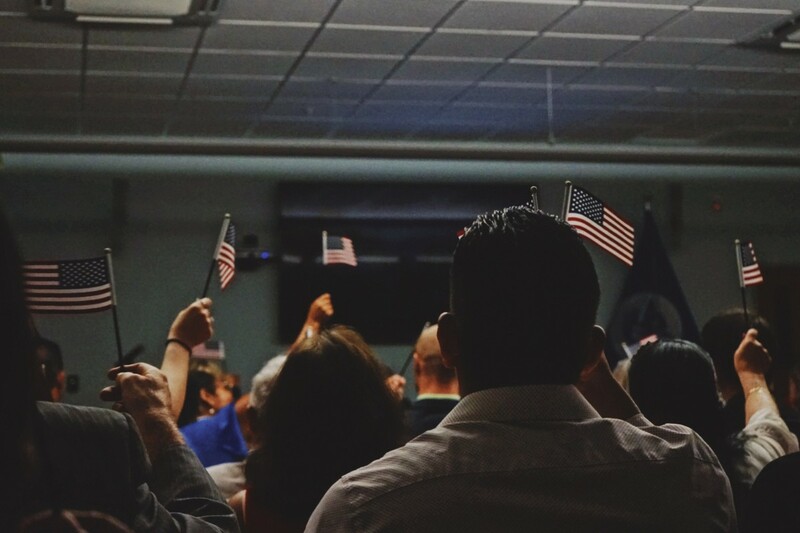 While fears surrounding ICE have always existed in the immigrant community, those worries have only been heightened by the policy changes enacted on the federal level and the increase in anti-immigration sentiment espoused by politicians. 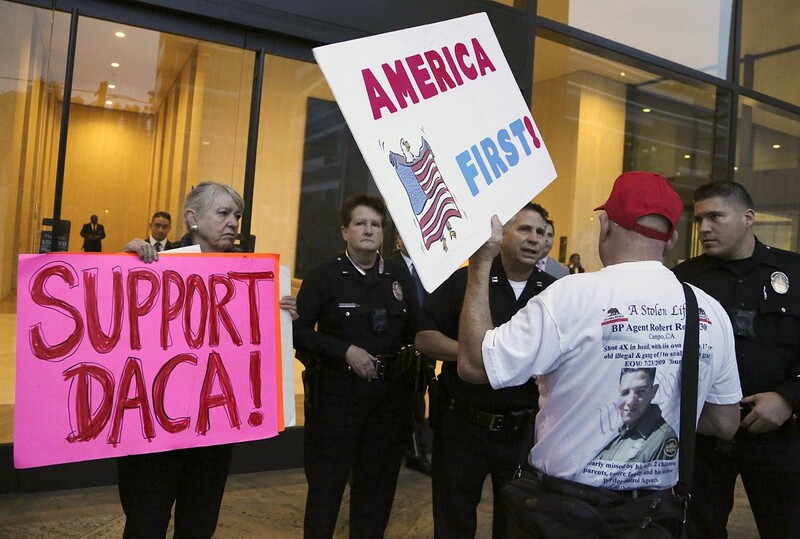 During his first year in office, Trump fought to end the Deferred Action for Childhood Arrivals (DACA) program, as well as rescinded the Temporary Protected Status granted to Hondurans who have lived in the country for nearly two decades. He’s recently proposed that migrant children should be held on military bases, and has declared that minors who cross the border are potentially tied to gang violence. He’s stated those children are “not innocent,” according to the Washington Post. Abell said that in the past, about 80 percent of all of her immigrant clients were afraid that reporting their abusers would lead to deportation. Now, she estimates that number is closer to 100 percent. The fear of deportation is stronger among those who don’t have a visa or documented status, Abell said. However, deportation can pose a threat to anyone who doesn’t have citizenship, especially if they face a criminal conviction. For example, police sometimes charge both the victim and the abuser during a domestic violence situation. If an immigrant is convicted of a domestic violence charge, that person can be deported, even if they’re a permanent resident. “I’ve been doing this for 10 years and it’s always ‘He said he’s going to call ICE, he’s saying they’re going to come get me.’ The difference is now they’re seeing it on the news, so the fear is greater. And I can’t quite say that they’re wrong,” Abell said. Abell said she doesn’t believe there’s been a drop in the number of people requesting services from Charlotte Center for Legal Advocacy’s immigration program, which handles the center’s domestic violence cases. The immigration program also works with clients who are seeking asylum, who have experienced housing discrimination, or who need their status adjusted in some way. Other legal groups said that they have noticed a decline in the number of immigrants reporting incidents of sexual abuse and domestic violence. Christine Poarch, the founding attorney at Poarch Law in Roanoke, Virginia, said that her firm has increased efforts to let the Spanish-speaking community know that resources are available for victims of violent crimes, including children who need asylum after suffering neglect or abuse. Poarch said she’s noticed a decline in the number of victims reporting abusers in the region. Though Poarch did not provide exact numbers, she said the law firm — which serves Southwest Virginia as well as parts of West Virginia, Tennessee and North Carolina — has worked with fewer minors and domestic violence victims compared to prior years. One reason that Poarch Law has seen fewer juvenile clients in recent months is because minors can effectively no longer apply for Special Immigration Juvenile (SIJ) status in Virginia in most jurisdictions. The designation allows undocumented children to become lawful permanent residents if they’ve experienced abuse, neglect or abandonment by at least one guardian. But in 2017, the Virginia Court of Appeals ruled that the state’s courts cannot decide whether a juvenile’s best interest would be served by returning to their country of origin, a predicate finding for U.S. Citizenship and Immigration Services to award SIJ status. The ruling has been interpreted by many courts to mean that they cannot enter the necessary order to grant a juvenile SIJ status, Poarch said. The White House and anti-immigration representatives have criticized the process of receiving SIJ status in the past by saying that some recipients may not have been in a dire situation, according to a 2017 Reuters article. Immigrant children can receive the designation even if only one parent or guardian is abusive or neglectful, which critics say is inappropriate given the child would hypothetically be safe once separated from that one adult. A large number of pending cases means that juveniles who apply for the status may be in for a long, arduous wait before discovering whether they will be granted the status in court. In 2017, only 11,335 people out of 20,914 applicants were approved according to data from USCIS. That same data showed there were 22,695 pending applications at the end of 2017. ICE raids in Appalachian areas have also stoked fears among immigrants. In April, at least 15 people were arrested and charged with illegal entry in Buncombe and Henderson counties, near Asheville, North Carolina, according to the Asheville Citizen-Times. An ICE official told the paper that the majority of those detained had been convicted of a crime or were illegal re-entrants, but it’s unclear what percentage of those detained fell into those categories, or how many of those arrested had criminal convictions specifically. At least 40 people were arrested across the state. Close to 100 immigrants were arrested in Bean Station, Tennessee, after ICE raided a meat-processing plant; only 11 of those were arrested on federal or state immigration charges, according to The Washington Post. While Roanoke has not experienced any raids, the procedural changes enacted by the new administration have led to heightened levels of concern among the immigrant community, Poarch said. In the past, she said, ICE placed undocumented immigrants into categories, and prioritized those who had committed violent crimes or were part of notable gangs, like MS-13. Now, ICE officers are expected to use their own discretion when picking up immigrants. Additionally, Poarch said agents have been ordered to focus on immigrants that have been charged — not convicted — with a criminal offense or accused of abusing public benefits. The change is especially troubling in Virginia, which Poarch said has historically received a high number of immigrant children seeking asylum. At a recent panel focused on issues facing juvenile immigrants, Poarch said one participant told a story about a child who suffered abuse from a non-family member for years because he was afraid that reporting would lead to repercussions for his family. Immigrants who suffer domestic violence also risk running into hostile judges when their cases are heard, Abell said. While she has not experienced that with her clients in Mecklenburg County, she said that some judges are more willing to entertain the notion that a victim is claiming abuse to gain a visa. It’s common, she said, for an abuser’s attorney to argue that the victim’s case is a scam to gain permanent residence. “I usually just say, ‘Your honor, this is way too complicated to be a scam. She has three kids with this guy and there’s a 10-year waiting period to get a visa. If it was a scam she’d just accuse some random guy on the street of hurting her,” Abell said. Poarch and Abell both said that the changes in how ICE agents choose to detain immigrants makes it harder to determine how many abuse and domestic violence victims are being deported alongside those with criminal convictions. The changes have made giving legal advice more difficult, as it’s harder to predict the outcome of reporting abuse or going to court. Don Blankenship Claims Illegal Immigration Costs $130 Billion a Year. Is That True? 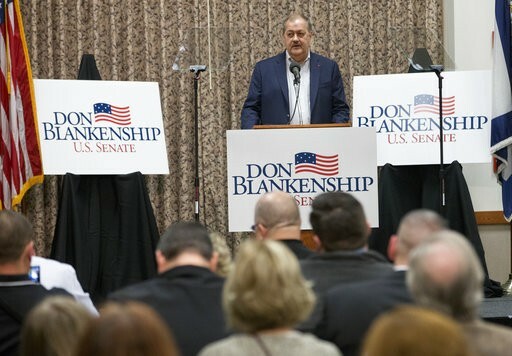 Seeking to represent West Virginia in the U.S. Senate, former coal mining executive Don Blankenship called for an end to illegal immigration, saying it costs billions of dollars a year. “We have to stop illegal immigration, costing us $130 billion a year to house and feed and give benefits to people that shouldn’t be even in the country,” Blankenship said during an April 23 debate among Republican primary candidates. We wanted to know the facts behind Blankenship’s claim on the cost of illegal immigration. Blankenship’s statement stems from a report by the Federation for American Immigration Reform (FAIR) that said illegal immigration costs about $135 billion a year. The group favors stricter immigration policies. The report has drawn criticism for some of its assumptions, such as a higher-than-usual estimate of immigrants in the country illegally (12.5 million, higher than the typically reported 11 million) and for excluding tax contributions made by U.S.-born children to parents here illegally. Overall, it’s difficult to determine a precise cost of illegal immigration due to lack of reliable data. FAIR’s report said illegal immigration costs about $135 billion a year, and that immigrants who are here illegally contribute about $19 billion in taxes annually. That puts net costs at about $116 billion a year. Blankenship said illegal immigration must be stopped because it costs $130 billion a year to house, feed and give benefits to people who shouldn’t even be in the United States. But FAIR’s report did not include estimates for the cost of public housing benefits, citing a lack of reliable information. The group also noted most welfare programs are not available to immigrants in the country illegally. But the group factored in costs for programs that benefit children born in the United States to parents here illegally. Alex Nowrasteh, an immigration policy expert at the libertarian Cato Institute, criticized FAIR for calculating welfare used by U.S.-born children, but failing to add in their potential tax contributions once they start working. “Counting the benefits consumed but ignoring the tax revenue they pay (or will do so in the future) is one way FAIR gets such a negative result for this report,” Nowrasteh wrote in a September 2017 postenumerating flaws in the report. FAIR estimated that the welfare of illegal immigration amounts to about $5.8 billion a year at the federal level and $2.9 billion a year at the state level (including school meals and child care programs). We asked more experts about the validity of FAIR’s findings. Their estimate is reasonable, though the cost could be more or could be less, said Steven Camarota, director of research at the Center for Immigration Studies, which favors low-immigration levels. Even though most immigrants living illegally in the United States come to work and pay billions in taxes, that does not make them a net fiscal benefit, Camarota said. Other experts said there were flaws. For one, the report’s bottom line included federal immigration enforcement costs. “It seems ridiculous to attribute the costs of border security to unauthorized immigrants. Would people prefer we had no border security so then the costs of unauthorized immigration would be lower?” said Madeline Zavodny, an immigration expert and economics professor at the University of North Florida. Enforcement is aimed not only at reducing unauthorized immigration but also at reducing drug smuggling and trafficking, Zavodny said. FAIR also factored in about $3.5 billion for assumed Medicaid fraud. We’ve fact-checked several other claims about the cost of illegal immigration based on FAIR’s reports, with experts raising concerns about their methodology and assumptions. In 2016, we rated Mostly False a claim from then-presidential candidate Donald Trump when he claimed that illegal immigration cost the United States more than $113 billion a year, finding that he selected the highest of all possible estimates from a range that varied widely. Immigrants in the country illegally generate costs for taxpayers, but it’s difficult to determine a precise figure largely because there isn’t reliable data. Blankenship’s claim is based on a 2017 FAIR report estimating illegal immigration cost about $135 billion a year. Experts picked apart many aspects of the report’s methodology. But relevant to Blankenship’s statement, the group’s estimate did not factor in housing costs. For all welfare costs brought on by illegal immigration, FAIR calculated about $5.8 billion a year at the federal level and $2.9 billion a year at the state level (including school meals and child care programs). Blankenship’s statement contains an element of truth but ignores critical facts that would give a different impression. We rate it Mostly False. Democrats and Republicans say they want to pass immigration reform this year. Most Republicans are pushing for tighter border regulations, while some Democrats say they would like to find a way to extend work permits to “Dreamers” through the DACA program. DACA stands for Deferred Action for Childhood Arrivals. It provided two-year work permits to some illegal immigrants if their parents brought them into the country as children. In September, the Trump Administration announced the end of the Obama-era DACA program. Many Republicans, including some of West Virginia’s congressional leaders, have said the DACA program was an abuse of executive power by President Obama. But some Republicans also say they support finding a permanent solution for DACA recipients, if it can be tied in with tighter border security and immigration policy. The West Virginia American Civil Liberties Union estimates there are between 100 and 150 DACA recipients in West Virginia. West Virginia Public Broadcasting spoke with one of those about how the debate in Washington affects her life in Mountain State. Jackie Lozano is 21. Her mom brought her to the United States when she was two. Lozano said her mom came here to get a job so she could pay for Jackie’s medical care. Lozano didn’t actually know she was an illegal immigrant until she was 15 years old, when she was starting to apply for financial aid for college. A guidance counselor asked for her social security number, and when she went home to ask her mom for her social security card, her mom told her she wasn’t a U.S. citizen. A year later, when Lozano was 16, then-President Obama announced a controversial new program, called DACA. She was able to apply for a work permit through the program. Although she hasn’t been able to afford college, she’s been able to find steady, full-time work. She grew up in North Carolina, but she said she fell in love with West Virginia. She works for a communications company, which sent her to West Virginia for a training in 2015. She requested a transfer to move here. She also fell in love with a fellow co-worker, and she and her partner have a 1-year old baby named Carter. Last summer, Lozano applied, and was accepted for a two-year renewal for her DACA work permit, so she has about a year and a half until her situation would change significantly. But by June 2019, if Congress doesn’t decide to renew the program, she fears deportation back to Mexico, where she was born. She remembers the day when she heard the announcement by Attorney General Jeff Sessions that the DACA program would end. Lozano said she does have hopes of applying for citizenship one day. September 2017 marked the end of the DACA program. The Department of Homeland Security says nearly 600,000 people are set to have DACA permits expire during the next two years, unless Congress passes legislation to continue the program. We reached out to West Virginia’s five congressional lawmakers for this story. “Dealing with undocumented immigrants who were brought to America as children is a complex problem. President Obama’s answer was to make policy by executive order, which was an abuse of power, and was not a long-term solution to this problem. Previously, President Obama threatened to oppose any changes to the Deferred Action for Childhood Arrivals (DACA) program. Now Congress has an opportunity to step in and develop a sustainable policy that does not rely on an executive order. We didn’t hear back from Sen. Joe Manchin by the time this story was filed.